…. we read about it all the time. The way that we, in the West, are obsessed with speed. So much so that we make ourselves ill with stress, worrying about all those things that we can’t get done. On the other hand, people living on most of the other continents have a slightly different view of time and pace (OK, granted, the Americans are like us …. well, the East Coast ones anyway). But there’s another angle to this. Cultural awareness and acceptance. Do we appreciate that asking Africans to work at our speed is sometimes inappropriate? Does our African team appreciate that asking us to work at their pace is also sometimes inappropriate? I guess we just need to go on a cross-cultural training course! But would that get rid of the frustration? Consider the following episode from the TASTE diary. Our new CEO, Ben Udejiofo, takes the reins and settles into the poorly upholstered Chief Exec’s seat. He begins to communicate with Tim, our team leader in Jos. There’s a problem. 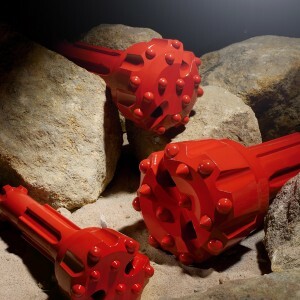 We need a new drill bit to do our next job and we can’t find a stockist who has one. This is a real problem because without the drill bit, nothing can happen. Ben encourages Tim to scour the suppliers – to no avail. Ben mentions this to past CEO, Steve, who has family in Lagos. Two e-mails later and we are talking to a major supplier of consumables in Lagos. “No, we don’t keep that size”. ‘Do you know anyone else who might?’ “No”. Great! Then Ben has a brainwave – that’s why we appointed him! There is a manufacturer of quality drill bits in Halifax. A couple of phone calls later and a new bit is on its way, via DHL, to Jos. Three days later, the team have their new drill. “But the mechanic was working on it last week” “Yes, but he didn’t spot the leak”. One week later the mechanic is still working on the oil leak; either it’s a big job or he’s very slow …. and Ben has encountered his first glimpse of different work patterns and pace in central Nigeria! But at least the drilling team managed to drill the hole with the new bit … they are just waiting now for the Land Rover to get fixed to tow the compressor to site so that they can flush the hole and finish off. What’s the betting the compressor develops a fault …. What’s your excuse for not going to work?